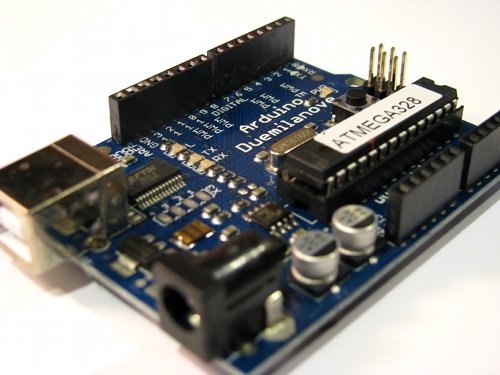 This Christmas, my lovely girlfriend was kind enough to get me an Arduino Duemilanove. I’ll admit that I may have been somewhat specific about what I wanted as a gift, but she managed to still surprise me by buying an Arduino starter pack and wrapping every portion of the bundle in its own little box, including a whole box for all of the bubble wrap that the thing shipped in. I have a few project ideas for this thing, but I will save those for their own posts. Keep an eye out for some new micro-controller projects here.